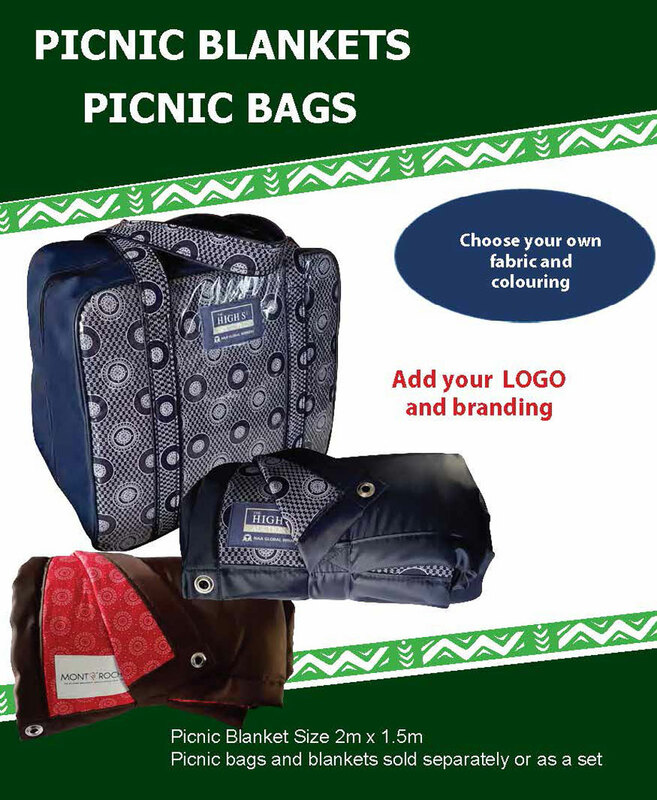 These locally crafted Picnic blankets and bags are available in a variety of modern designs in the colour of your choice. The picnic blankets are 2m x 1.5m with a waterproof backing. The picnic bags have separate compartments for ice, keys, and your scrumptious eats and drinks. The blankets and bags can be sold separately or as a set and can be personalised with your company branding and logo. Or Click Here for a more details and/or a quotation of the Picnic Sets.